Dublin airport wasn’t at its typical bustling state. The passengers strolled with rolling wheels shadowing their footsteps and with tired eyes, walked in a lethargic fashion to their gates. It was a crisp January morning, 3am to be exact, and I waited in the meandering line to check-in a suitcase. Myself and two other pilgrims of DCU, Deirbhile and Valentin, would soon be embarking on a 14-hour journey to Panama (excluding our 8-hour layover at Charles-de-Gaulle of course) and innocently with open minds, we emptied our expectations and doubts of what was to come during the next week. 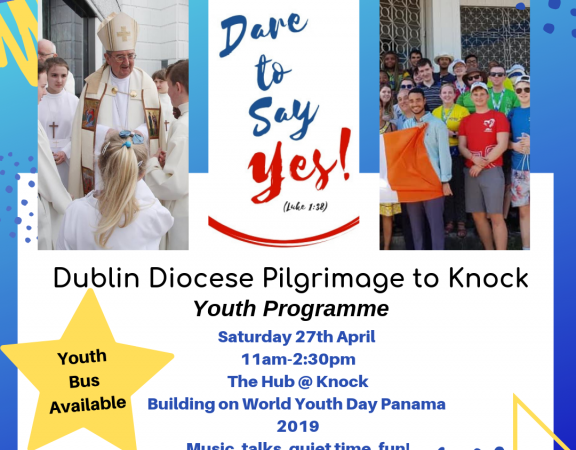 We had responded to Pope Francis’ invitation to attend World Youth Day (WYD) in Panama; an event in which all young people are given the opportunity to take part in youth Christian and volunteer work. Needless to say, this experience has changed me as a young person in the Catholic Church today. During this WYD, we explored Mother Mary’s admirable courage to say, “Yes” to God’s will. She said, “Let it be done to me according to Your word.” Mary had no master plan… only her Master’s plan. 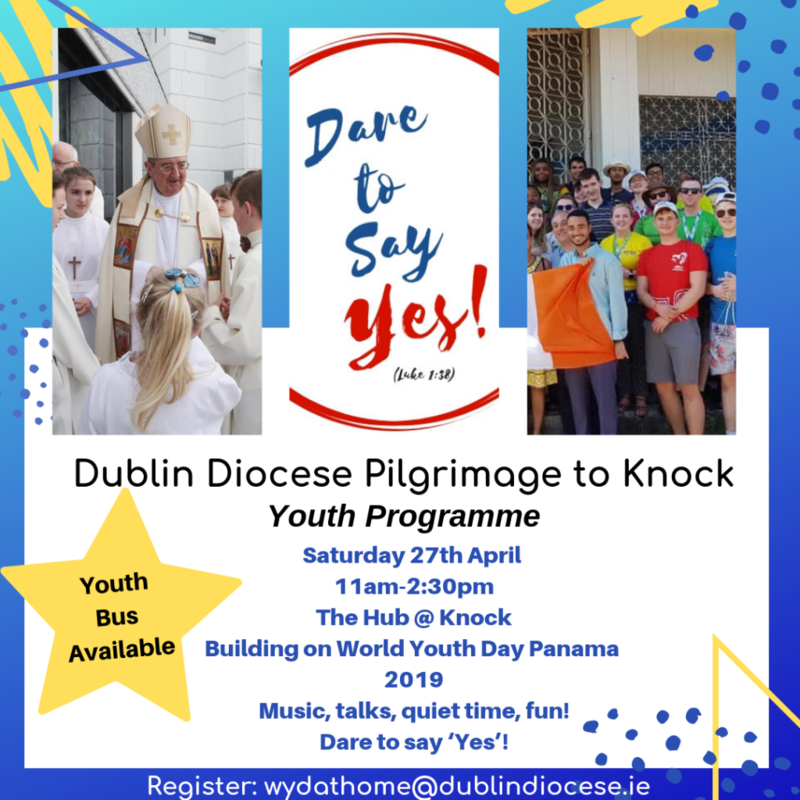 It was this theme of ‘Daring to Say ‘Yes’’, which has inspired me among thousands of young people who attended WYD to understand that we were not alone in this journey; that there was a reason as to why we ended up in Panama; why we were chosen to be at that place at that time. The most important lesson I learned was the true meaning of generosity and gratitude. We stayed in the humble homes of Panamanians who offered us a bed during our stay. They took us, complete strangers, to stay with them to eat and to rest. In some homes, there could be three, four, even five pilgrims sleeping on their living room floor. My house mother did not speak English and that in itself was a challenge. Passing my phone between us during our every interaction, we communicated through Google translate. However, despite their many guests, our host families would make their best efforts to have our stomachs filled. They made ends meet. The Panamanians showed the true meaning of generosity because it’s not how much they gave that mattered… It was how much they had, but still shared. I personally found their selfless generosity striking as it intertwined with hopeful gratitude. Despite the little they had, they always seemed to find happiness within the simplicity of their way of life. The Archdiocese of Dublin teamed up with ACN (Aid to the Church in Need) which helped us to take part in volunteer work during our stay. We taught English to the children in our parish through countless games of football under the humid Panamanian heat. Shy and reserved at first, their childish spirits ignited at the first thump of a kicked ball. Our volunteer groups also visited the sick and elderly in our local area. 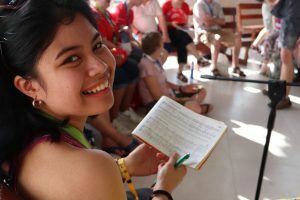 Speaking with them through volunteer translators, we prayed together at their bedside and inspired heart-warming smiles through our songs. WYD has opened many doors to friendship, faith and growth and it has been one of the most memorable moments of my life. It has inspired us young people to say ‘Yes’ to every chance that may come our way to make a difference; to help the less fortunate and to give with an honest heart. This couldn’t have been possible without the support of DCU and Fr. Séamus McEntee. We are eternally grateful for the opportunity and we hope to allow this experience to continue to change us for the better each day.